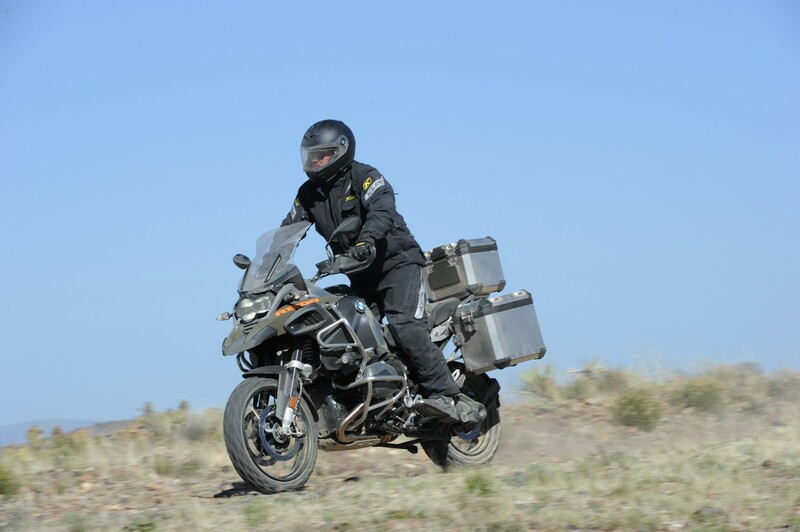 With adventure motorcycling increasing in popularity, more people are making the leap into the dirt. 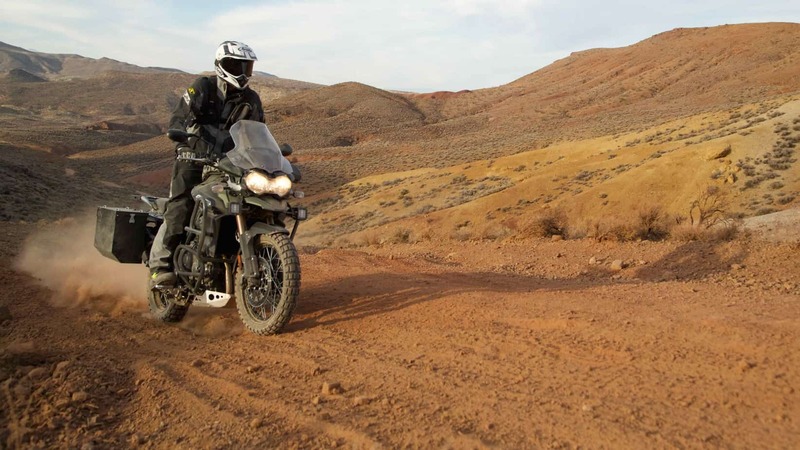 The decision to slip beyond the comforts of pavement brings with it a number of important considerations with regard to motorcycle selection and preparation. We take a deeper look into selecting a bike and making it ready for a proper off-tarmac adventure. 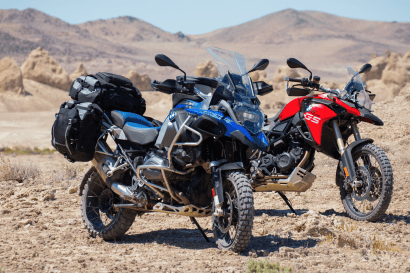 Selecting the appropriate motorcycle is without a doubt the most important decision you’ll ever make with regard to motorcycle travel. 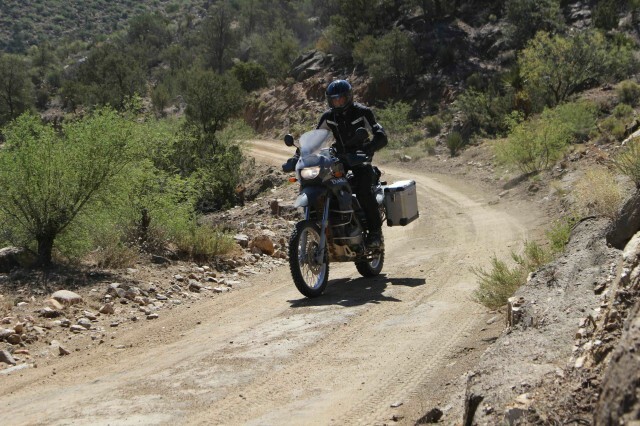 Unlike their four-wheeled counterparts, motorcycles can be an unforgiving lot. Buying too much or too little motorcycle can greatly degrade your experience or result in injury or worse. For the new rider, this creates a slippery slope as most buyers worry about outgrowing their starter bike and aspire to purchase a platform they can grow into. Researching the available motorcycle options and applying their attributes to honest evaluations of your own skills and ambitions is a critical process. Considerations relative to power, overall size, weight carrying capacity, reliability, and performance perimeters will direct you to the ideal bike for your abilities and travel ambitions. Safeguarding your motorcycle with the necessary skid plates and crash bars is not just about protecting your investment, but rather increasing your odds of forward progress in the event of a spill or assault from an aggressive section of road. Knowing how much protection to add to your motorcycle is the key and choosing the correct protective components needs to be done with great care. Not all crash bars are created equally, so make your selections wisely. When evaluating your motorcycles’s inherent weak spots, be sure to not just guard against tip-over damage. Stones can easily penetrate exposed radiators and other more delicate aspects of a motorcycle. 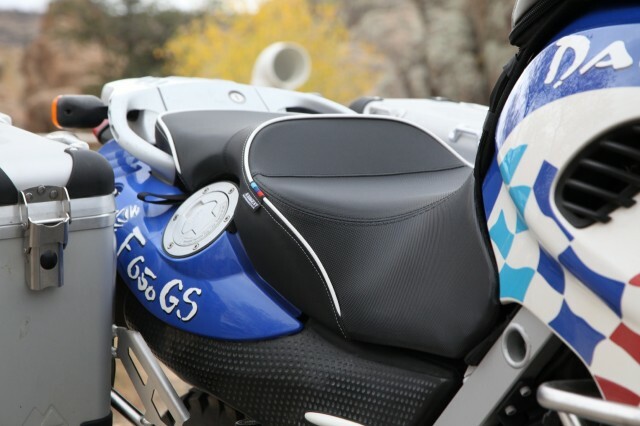 Although it’s not unique to two-wheeled vehicles, motorcycle owners love to personalize their machines with a menagerie of hand selected accessories. These functional sparkles, otherwise known as farkles, can at times take a turn for the worse. If your cockpit is adorned with GPS units, drink holders, stereo speakers, phone mounts, and other gadgets, you may have gone a farkle too far. Simplicity is at the core of motorcycle travel and the more stuff that is bolted to a motorcycle, the greater chance of a failure. Many riders take this to new lows with garage-made farkles of questionable design and fabrication. In other words, hanging that homemade reserve tank off a frame member may not be a great idea. It’s best to inoculate yourself against Farkle Fever. There seems to be as many luggage options on the market as there are motorcycles. 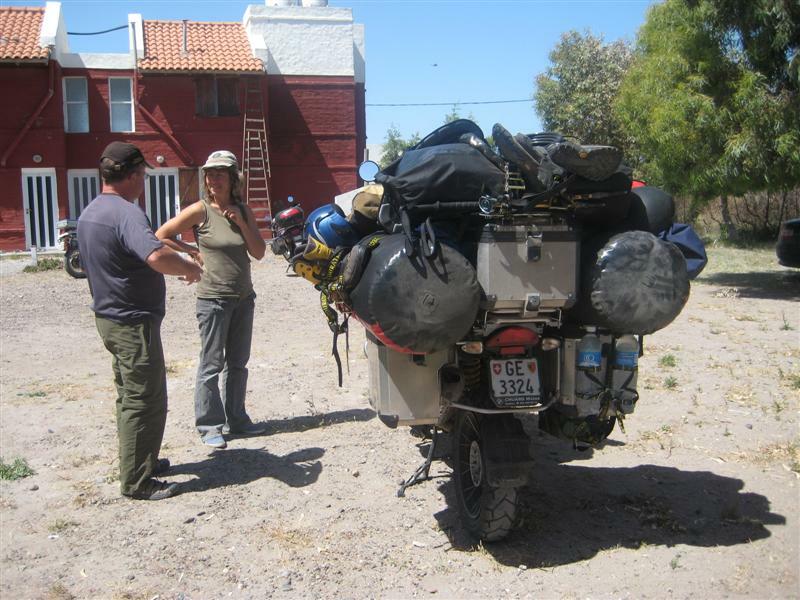 Pairing the appropriate luggage solution to your bike and style of travel is of supreme importance. Fitting gigantic 40 liter hard cases to your 200cc Suzuki is perhaps not a great idea. 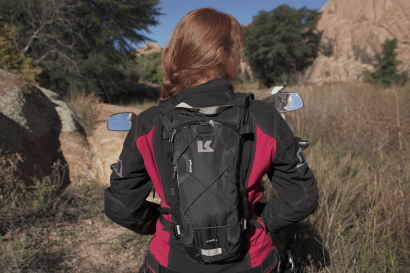 Soft luggage systems are often a better option for smaller motorcycles, or for those planning to traverse highly technical terrain. A poorly chosen luggage system used in less than ideal scenarios can even lead to serious injury. How you travel also has some influence on your luggage choices. If you are prone to travel with everything plus the kitchen sink, soft luggage may not be the right choice. Once again, honest evaluations of how and where you travel will direct you to an ideal luggage system. It often starts with the installation of an accessory outlet, then leads to a bar-mounted GPS system, a complicated array of lights, and before you know it you have a rat’s nest of wires zig-zagging around the various nooks and crannies of your machine. 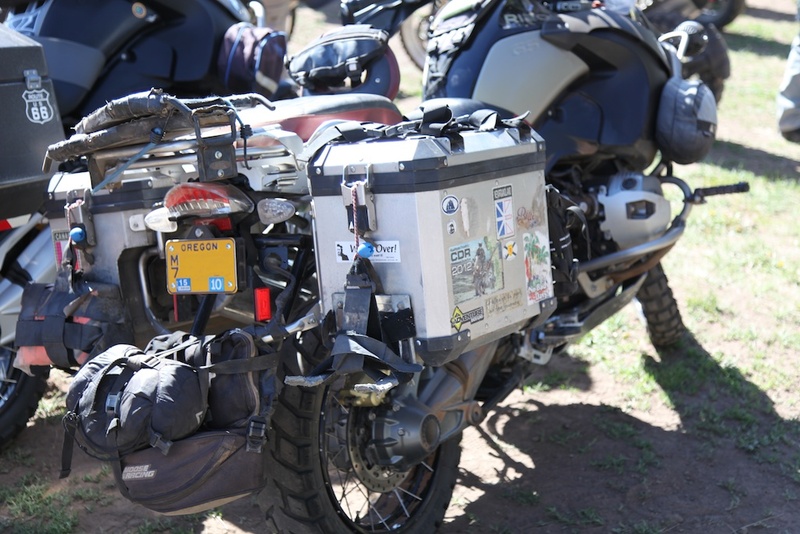 The electrical farkles applied to a motorcycle have to be done with a plan and a pinch of restraint. Over complicating the electrical system of a motorcycle comes with a host of problems, many of which can conspire to leave you stranded in the boondocks chasing down a short or wishing your bike had a kick starter. Tire selection for any vehicle is of paramount importance. The direct connection between your machine and the ground over which it travels, tire choice not only impacts performance, it also influences your safety, comfort, and a poorly chosen tire can have you mired in roadside repairs. 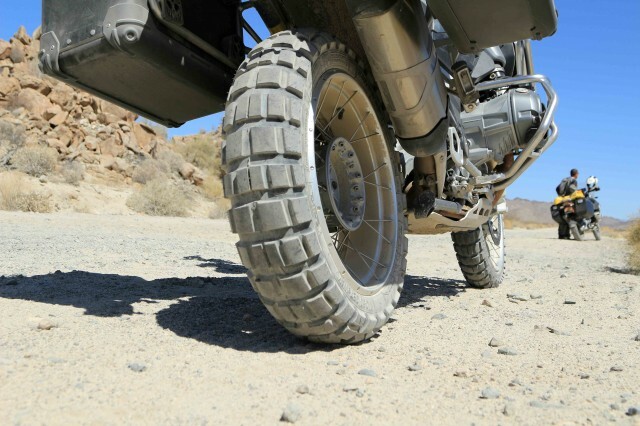 A common pitfall is to mount a tire made for more aggressive conditions than necessary. This can often lead to a tire lacking the durability necessary to complete the journey. Sticking with the theme of personal assessments, pairing your actual riding scenarios with the appropriate tire is an exercise in being true to your actual needs. 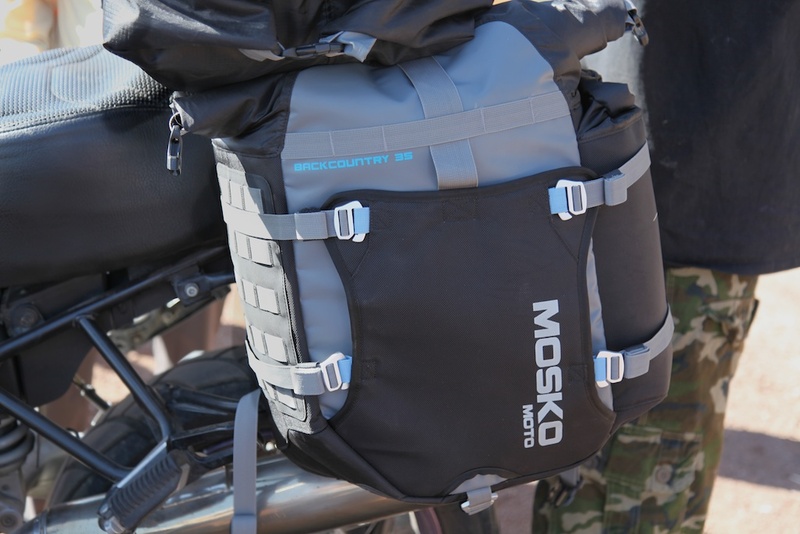 Because most motorcycles were designed to carry a passenger, they can shoulder a surprisingly large amount of cargo––but that does’t mean they should. If your routes are mostly flanked with curbs and white lines, pushing the limits of your motorcycle’s carrying capacity may not come with many challenges. If however, your routes lead you into the backcountry where tricky maneuvers lie in wait, keeping your loads to a minimum will greatly increase your chances of staying upright. Once you have selected your gear and carefully evaluated the overall weight of that load, you must then apply it to the motorcycle accordingly. Balancing the placement of your gear on the bike directly correlates to the bike’s maneuverability and rider safety. That 50 pound duffel bag sitting atop the tail section will behave like a bloated passenger with rigor mortise. Placing your gear as close to the bike’s own center of mass will make riding in all conditions safer and require much less physical effort from the rider. It’s also important to note, some bikes may have adverse handling effects based on how the bike is loaded. Weight positioned too far aft can invite head shake and other unnerving handling characteristics. Unlike trucks, motorcycles have to be fitted to a rider. The three primary contact points: the bars, seat, and pegs, are not universally positioned to fit all riders. Allocating funds for bar risers and peg relocation kits is often money well spent. While manufacturers are getting better with seat designs, an aftermarket seat can be worth its weight in gold on a long ride. The key to refining ergonomics is to do it in stages and only after you have spent a significant amount of time on the motorcycle. Comfort should be a key driver with these adjustments, but also pay keen attention to performance. Fit your bike to provide optimal control in standing and seated positions. If necessary, enlist the evaluative eye of a friend to see if your posture on the motorcycle seems ideal with no hunching or overreaching. Every motorcycle rolls off the showroom floor with some kind of basic tool kit. None are complete and expanding that selection of tools is an immediate priority. 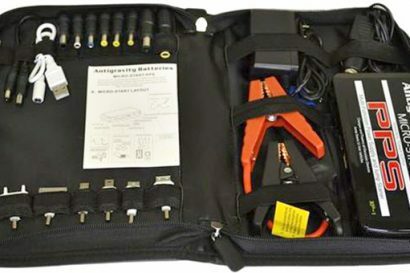 More than just an accessory, a tool kit is a vital extension of the bike and should be carried at all times. Any good kit needs to include all the tools necessary to remove crash bars and other bolt-ons, as well as facilitate basic repairs and servicing. 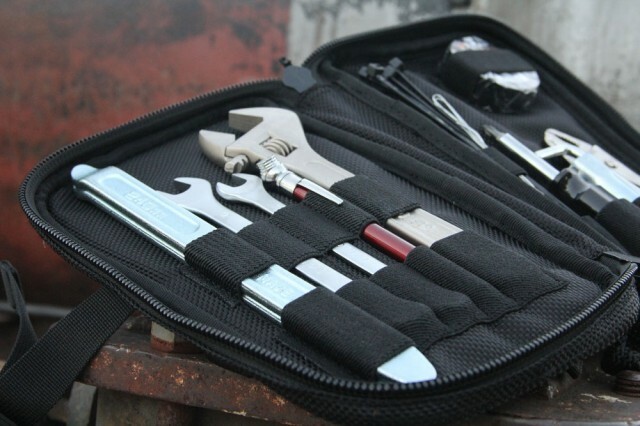 Experienced riders will advocate using your portable tool kit for all of your regular maintenance. This ensures you are familiar with your tool kit and have all the tools required for your particular motorcycle. Don’t forget to include necessary spares and emergency supplies. Duct tape and bailing wire have saved many a trip from disaster. A motorcycle’s suspension system, and how it is tuned to the rider, is something many riders overlook or fail to address properly. It seems the two common sins are either neglecting the suspension outright, or going overboard with upgrades. 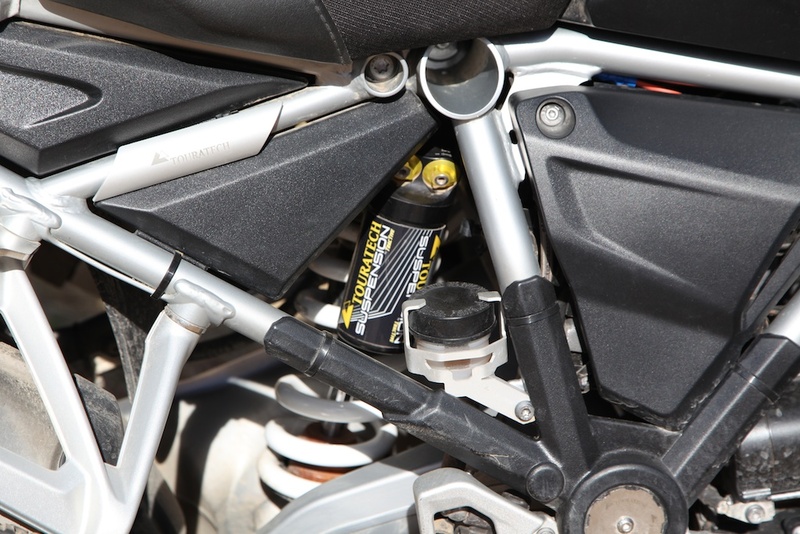 Understanding how your suspension components effect the ride of your motorcycle is essential to safe riding and getting the most performance out of the motorcycle. Having full command of adjustments and how they are impacted by added weight and changing terrain is part of mastering your motorcycle. The interface between rider and machine is what makes motorcycle touring such a visceral experience. When rider and machine are perfectly matched, they become a seamless pairing capable of conquering endless miles of varied terrain. 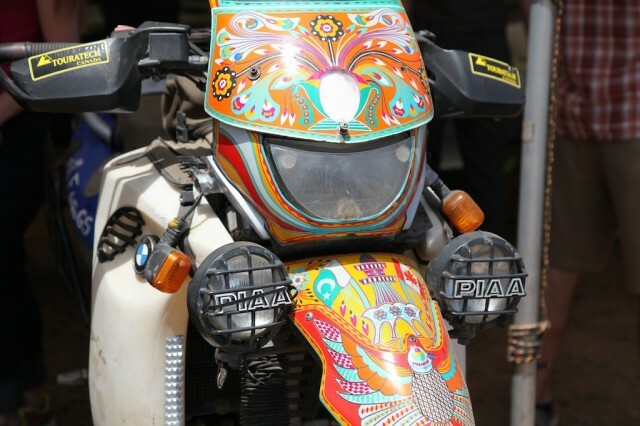 Be true to your needs and prepare your motorcycle in such a way as to compliment your skills and style of travel. Most importantly––wear All the Gear All the Time.